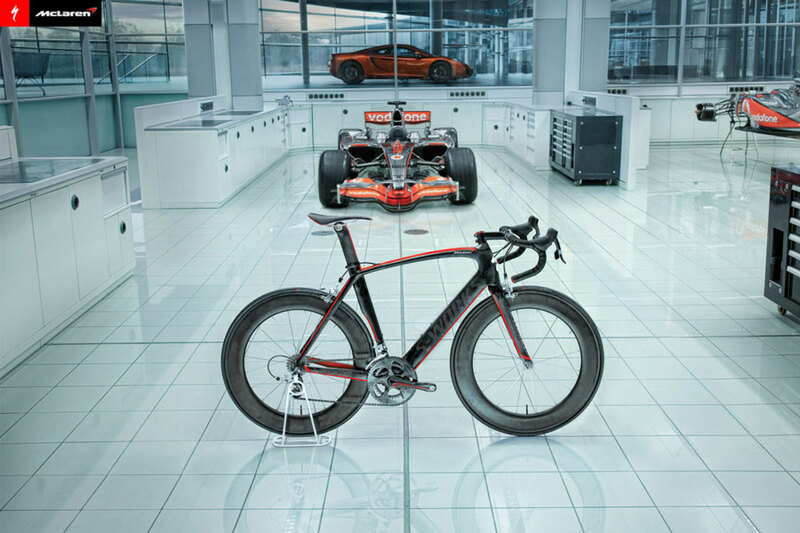 Specialized bicycles has teamed up with premier racing team/automotive supercar manufacturer McLaren to create the ultimate racing bicycle, one that maximizes material usage and aerodynamic technology to fashion a sub-950 gram (that’s 2.09 lbs), aero shaped road bike. 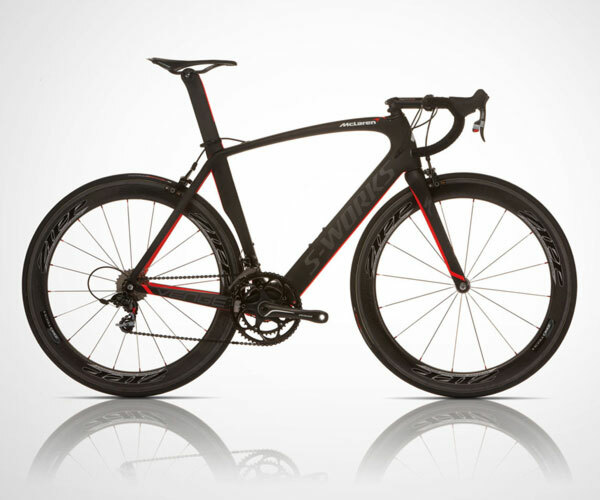 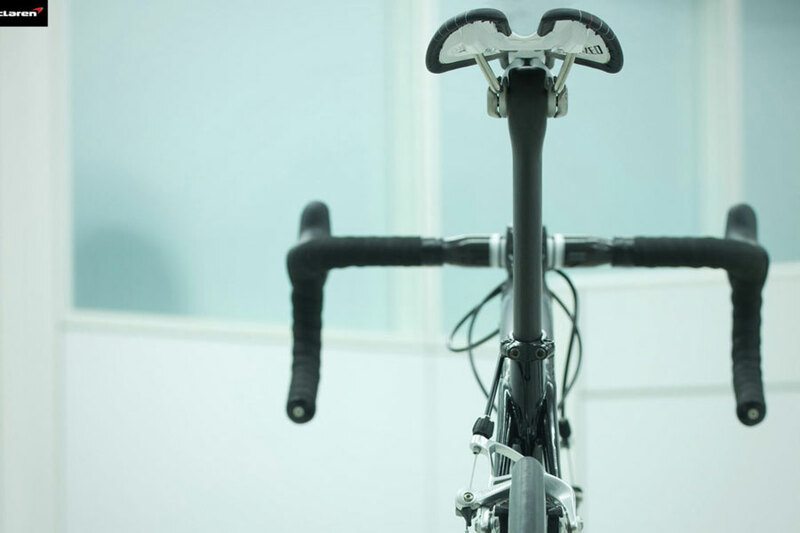 Using copious carbon fiber and taking full advantage of the championship winning Formula One racing team’s wind tunnel analysis, they’ve created a frame that’s 15% lighter than their standard Venge. 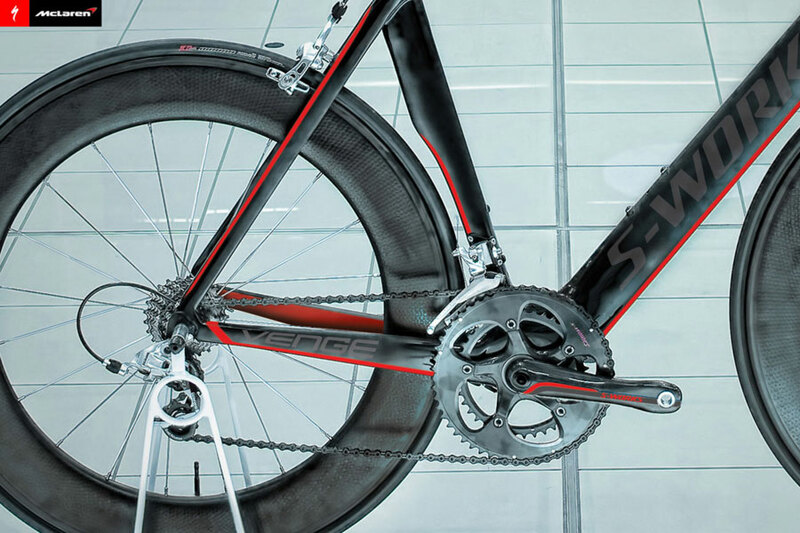 For instance they removed a non-structural internal layer of carbon, saving 40 grams of weight with no negative affect to performance. 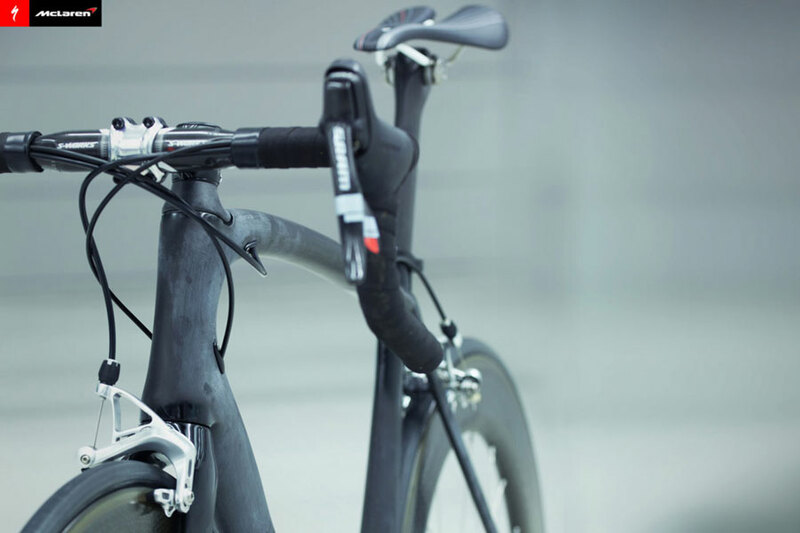 Each layer of carbon was also specifically shaped and cut to avoid unnecessary overlap — a very time consuming and expensive process. 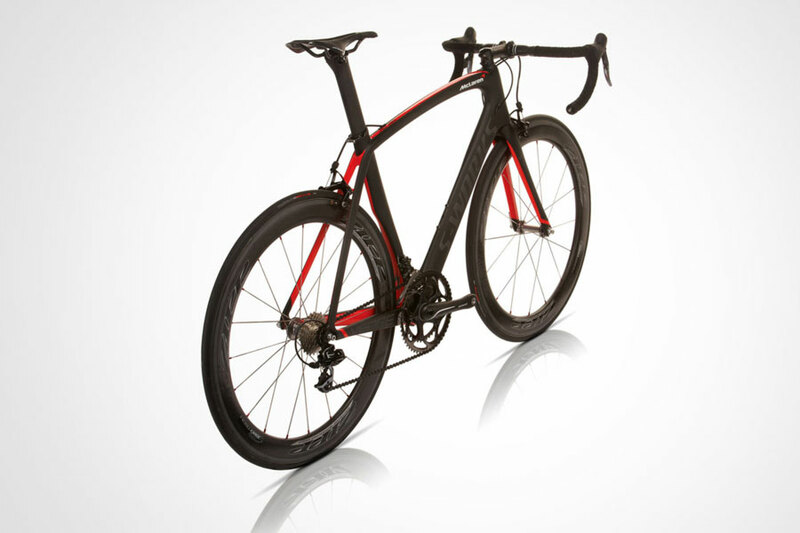 Over all the aesthetic design of the McLaren Venge bike itself is beautiful, finished in matte black with red accents, and will be available as a frameset with fork, seatpost and crankset for roughly $8,000 (£5000) starting this September.